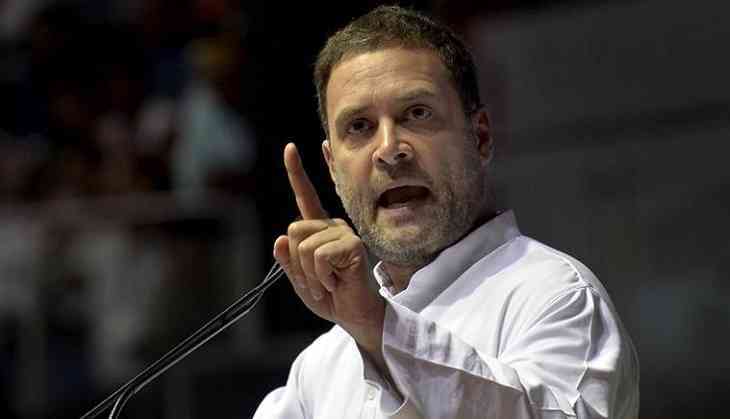 Taking very harsh dig at the Prime Minister Narendra Modi over the raging issue of Rafale deal, Congress chief Rahul Gandh indicated that he is going to take this battle to the long route. He said that the game has just begun, he will do more things in the coming 2-3 months. While addressing social media workers in his parliamentary constituency Amethi, he accused the Prime Minister Narendra Modi of snatching away money from the poor and gave it to industrialist Anil Ambani. "Ye jo bhrashtachaar ke khilaf ladne aaya tha, isi ne Anil Ambani ko 30,000 crore rupaye pakda diye. Abhi toh shuruwat hui hai, abhi dekhna, maza aayega, aane wale 2-3 mahine mein aisa maza dikhayenge hum aapko (The one who came to power to fight corruption, handed over Rs 30,000 crore to Anil Ambani. The game has just begun. We will show more interesting games in the next 2-3 months),” Gandhi was quoted by the Times Now as saying. Pointing out the case of financial irregularities happened during Modi government, Gandhi said “There is chori (theft) in the works of Narendra Modi -- Rafale, Vijay Mallya, Lalit Modi, Notebandi (demonetisation), Gabbar Singh Tax (referring to GST). There is theft in all these. One by one, we will prove that Narendra Modi ji is not a 'chowkidaar'. Narendra Modi is a 'chor' (thief)”. Slamming Gandhi for the comment, Law Minister Ravi Shankar Prasad said “it is a "matter of shame for Congress that a person like Rahul Gandhi, who is irresponsible and is a liar, is their president. We can't expect anything else from a leader whose entire family is buried in scams, be it Bofors or National Herald. In the history of independent India, no national party president has ever made such comments about a prime minister. We will expose the Congress party”.